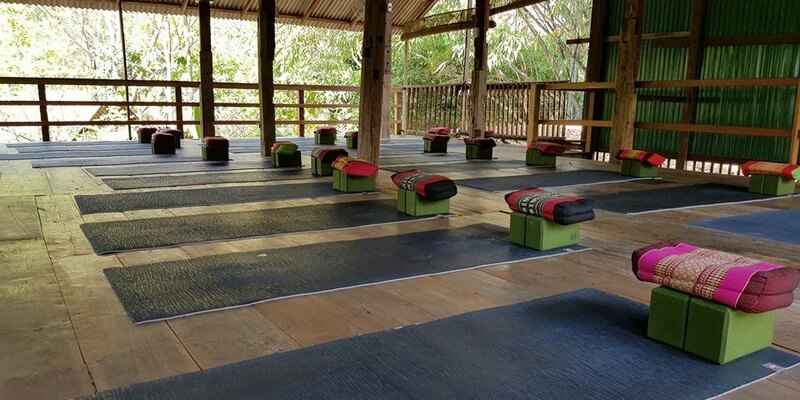 The Suan Sati meditation and yoga retreat center is located in Ban Si Bunreuang, a small traditional Thai village only 20 kilometers north of Chiang Mai, Thailand. 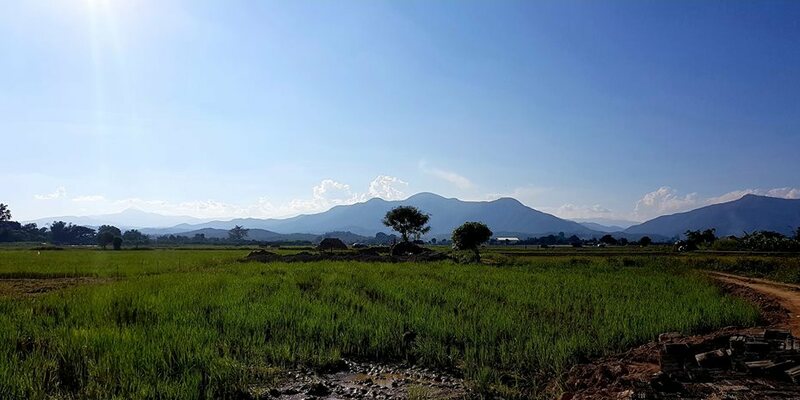 The center is set in a stunning environment of mountains, forests, lakes, rice fields, and local Thai communities and is built on a permaculture site. 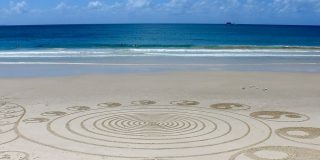 Guests have the opportunity to join for all-inclusive Meditation and Yoga Retreats of a few days or a few weeks open for both beginners and advanced practitioners. 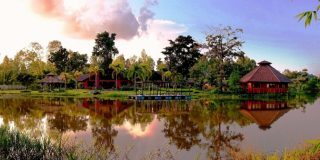 Suan Sati, or The Garden of Mindfulness, was founded by Will and Lisa, and they run the retreat center together with local Thai staff. The intention of the center is to create a space to practice Buddha-Dhamma (a system of living and self-realization as taught by the Buddha) through meditation, asana yoga, ecological integration, and community living. 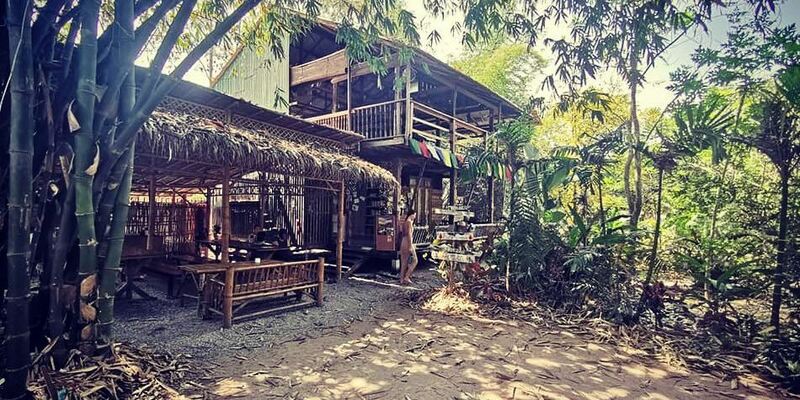 This all comes back not only in Suan Sati’s meditation and yoga philosophy and programs, but also in practical aspects of vegan food offerings and cooking, organic gardening and environmental friendly bamboo accommodation constructions. 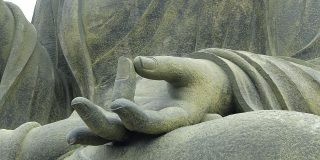 Every moment is seen as an opportunity to practice the Buddha-Dhamma and this is actively promoted by returning to this intention during the day in morning meditation, asana yoga classes, observation and interaction with nature, and in the invitation to bring mindfulness and Vipassana meditation into daily life. The Winter Retreat Program (from November to March) is a 6 day immersion into the yogic lifestyle. 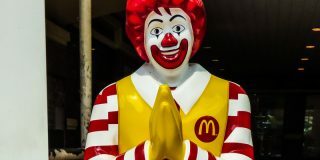 In the Thai tourist low season, from March to October, Suan Sati welcomes stays of 3 nights up to several weeks, arriving and leaving on any day. 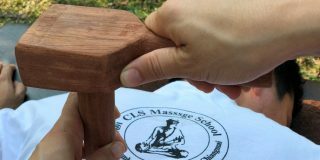 Additionally, besides the regular meditation and yoga retreats and stays, the center also hosts Special Programs like Yoga Teacher trainings and Weekend Retreats. 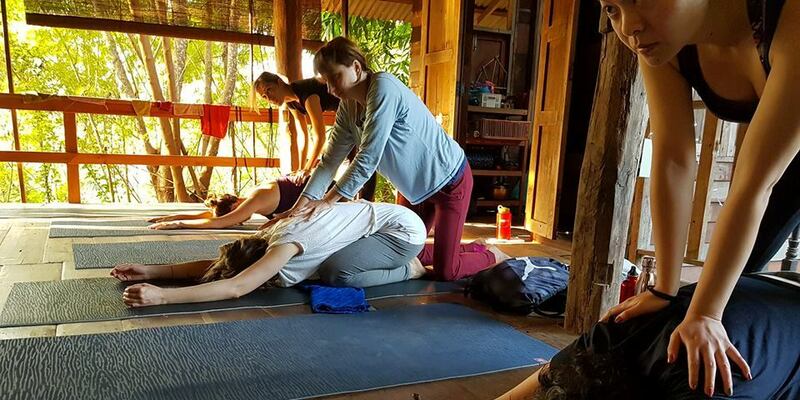 Suan Sati also offers options for third-parties to host retreats, may it be private groups for yoga teacher training courses, yoga retreats, meditation retreats, women’s retreats, student groups, healing retreats, and the like. It is possible to accommodate up to 20 participants and several more facilitators, making it an ideal center for an intimate retreat. Retreat packages include food, accommodation, and exclusive use of the space, giving facilitators and groups optimal privacy and peace of mind.